Transistorized audio-frequency telephone amplifier, probably designed and made at the Post Office Research Centre at Dollis Hill, London, England, 1955. Very soon after the development of successful transistors in 1947, the Post Office Research Station at Dollis Hill, London, were working on their use in telephone repeaters (amplifiers). This is an improvement of a 1953 design of a transistorised push-pull amplifier. 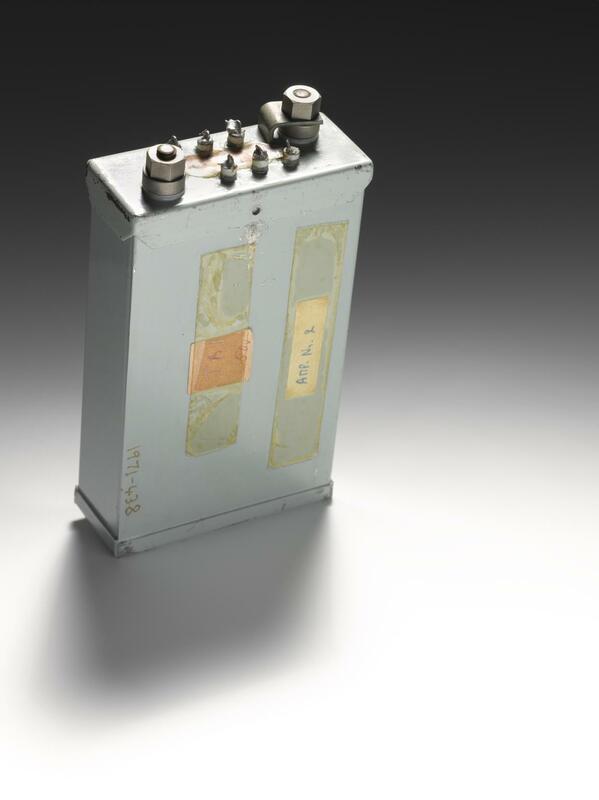 With larger and better input and output transformers, it formed the basis of the amplifiers put on a field trial in 1955.